A,B. 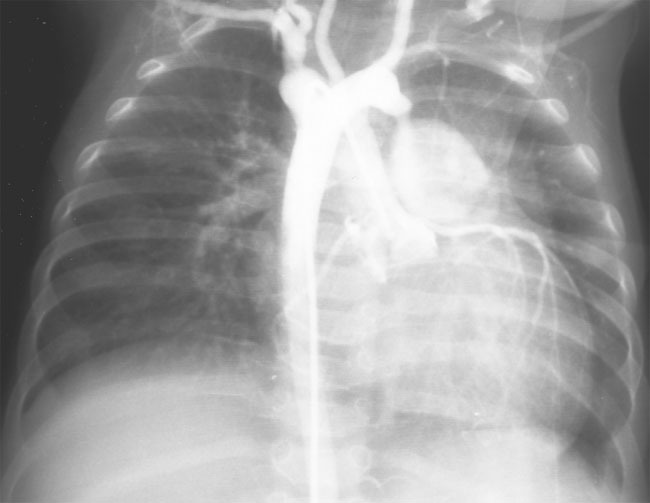 Cineangiograms demonstrate a double aortic arch with separate origins of carotid and subclavian arteries arising from each arch. 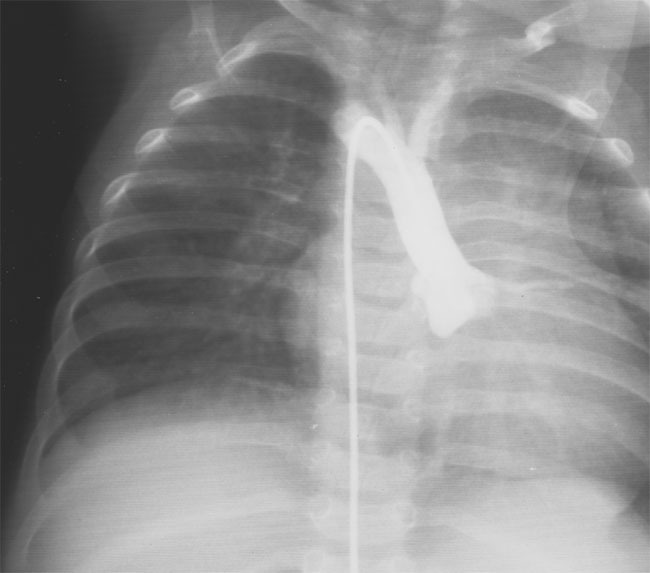 The left arch appears to be dominant in this case with the descending aorta lying to the right of the spine.The main pulmonary artery can be seen filling from a ductus which arises from the left arch.